I have linked up the shortcode generated out the backend into the end of an article and from about 15 attempts I was only able to receive the desired result once. On submission, I am redirected to a page displaying WP_Error. The ticket into Zendesk is still being created. Any ideas? I’ve just pushed an update for the plugin which will show more of the error message from WP_Error. Please could you update to version 2.9.2? After doing so, if you try adding your email address to this option – https://i.imgur.com/5akRWXz.png – some extra information about the WP_Error will be emailed to you. Please do that, then try submitting another ticket and let me know the error message in the email. Ah that’s more like it! 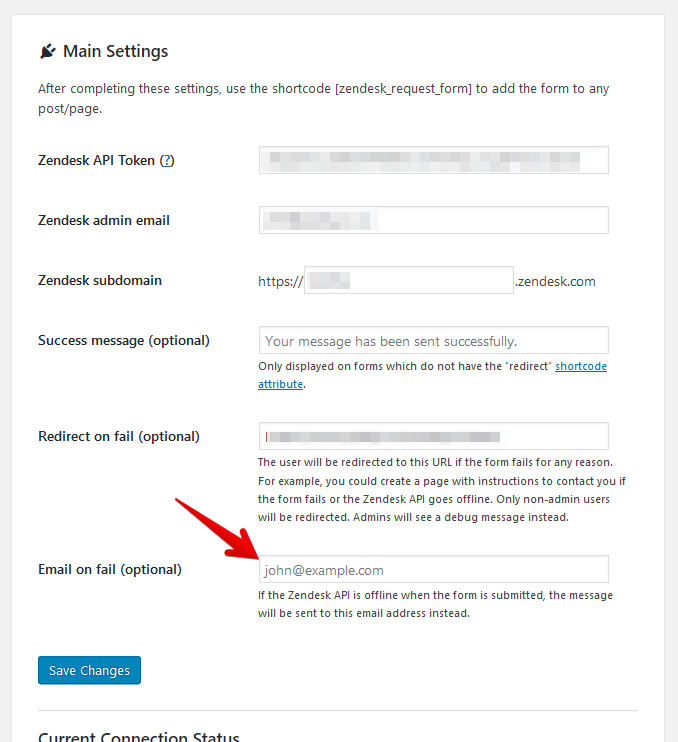 This error means that the server is taking longer than 10 seconds to receive a response from the Zendesk API, which unusual. It should really take a few seconds at most. Your server is timing out after 10 seconds, which must be the connection limit. This could mean that the receiving connection from Zendesk is being blocked at your end. Are you running any security plugins or a firewall which might be doing that? It could be worth checking if cURL is up to date on the server too. unfortunately, this makes complete sense. We have been having trouble with Zendesk for quite some time with the time which is taken to process the tickets. I think at this point we are averaging 11/12 seconds per API request. I suppose that I would have to wait for Zendesk to resolve this before I can continue. Really appreciate your support on this, thank you! Ah ok, hopefully you can get it working with them! Another thing you could try is to increase the timeout for cURL requests. Currently it is limited to 10 seconds. You could increase that to 15-20 seconds as a quick fix. Ideally you want to get that response time down to 1-2 seconds though. The topic ‘Consistent submission errors’ is closed to new replies.